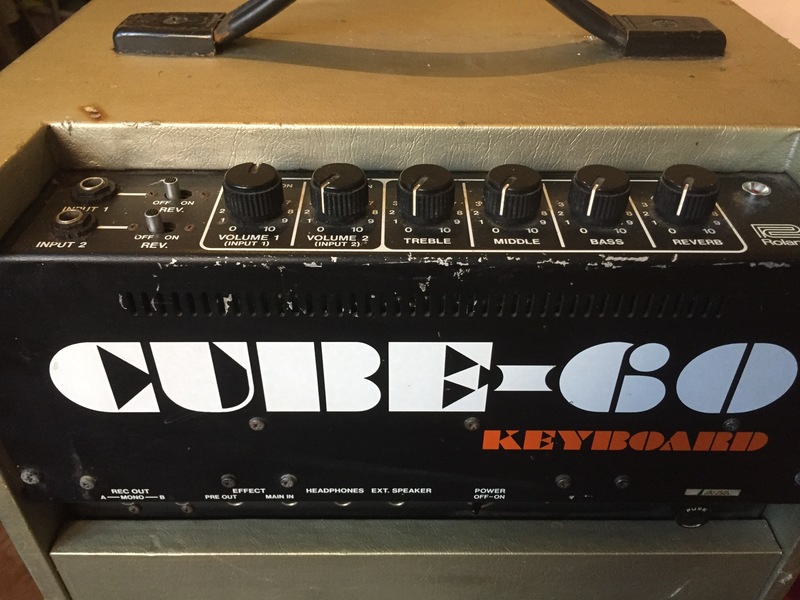 Cube 60 Keyboard, Keyboard Amplifier from Roland in the Cube series. 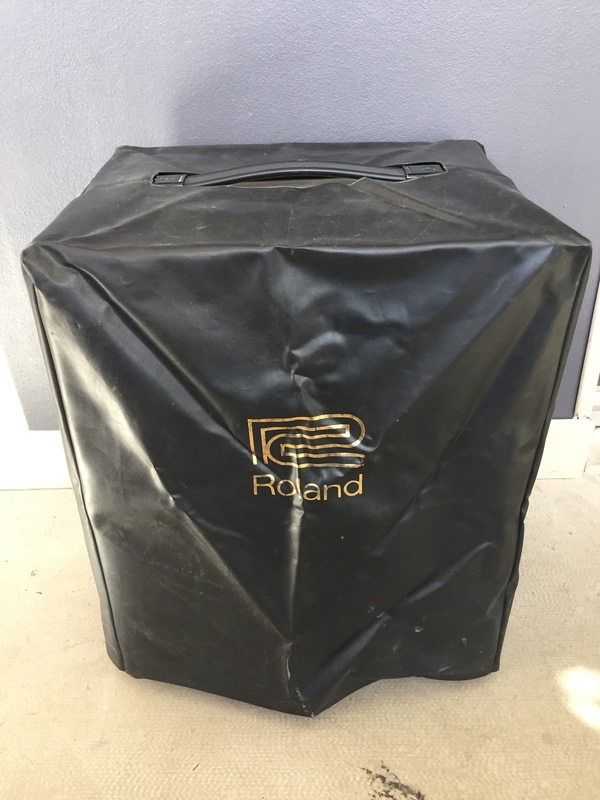 lvmusique's review (This content has been automatically translated from French)" Good keyboard amp fairly neutral in its clear and precise"
Keyboard Amplifier 80s. 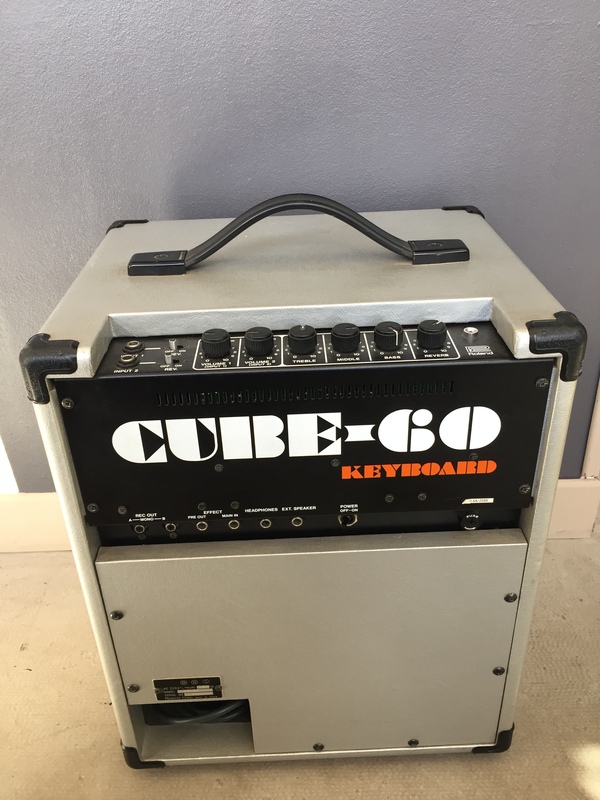 Not to be confused with the bass cube 60 orange. Its fairly neutral and very loyal. Compared with excellent highly accurate studio monitors (Tannoy Precision 8D), there is a slight lack in the midrange and treble. 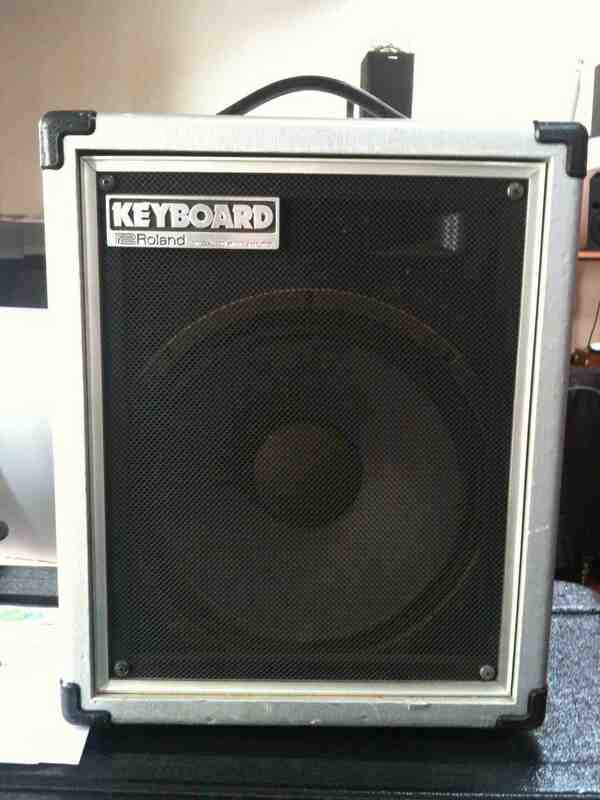 For use as a stage, use of bar configuration view for an individual who needs a keyboard amp is perfect. A Clavia Nord internship EX: very good return of sounds onboard. A Wurlitzer: its clear and precise. Supertramp pure juice. A Rhodes MarkII: lack of presence. Amazing, need a pre-amp for lack of power. To compensate for the slight lack of midrange and treble, I rule medium thoroughly, treble and bass 8 to 3 (they are already quite present). 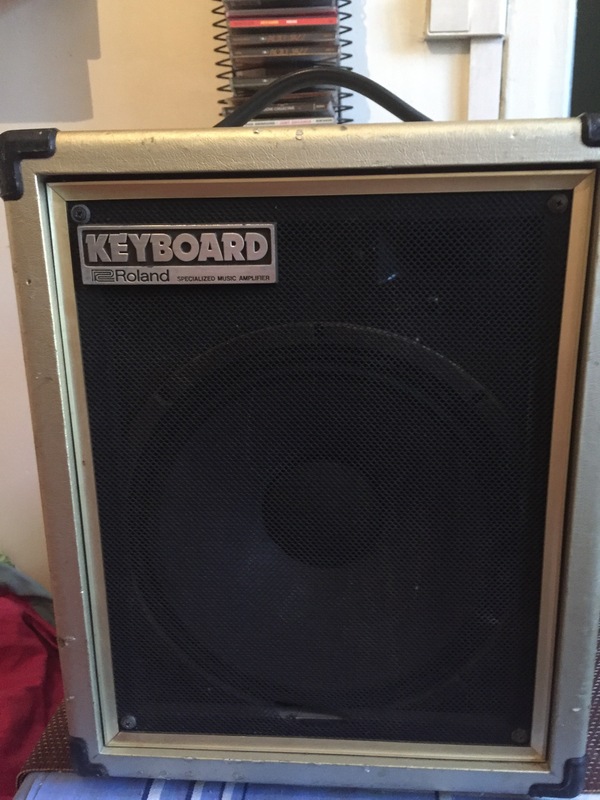 Certainly open to try to free the rear panel bass (though depends on the configuration space). Restitution remains clear even at high power. Accurate on clean sounds a little less saturated mode (eg organ saturated). The reverb is not helpful. It is dated (it is a spring reverb). I do not advise to use. Ability to route the output effect pre out to a console. In this configuration, inserting a DI sound is better rendered. Possibility to chain 2 CK-60 to reproduce the stereo. We appreciate the ability to connect two keyboards and you can adjust the volume separately. No possibility of setting high frequencies, midrange and bass separately on each keyboard. Because sound is true, it is not a problem. I bought this amp to use it as a floor for large configurations and to avoid going out of the speakers in small configurations (eg bars). Indeed, the output of pregnant harms the balance of the group, for the public and for the singer who hears strong keyboard in his return. 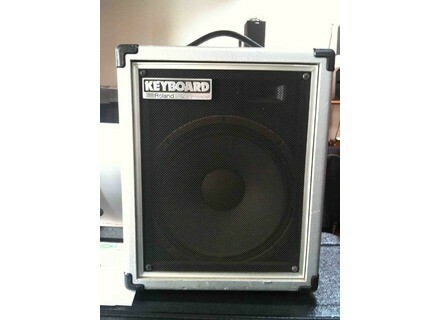 Good sound and sufficient power of this amp in this configuration even with a guitar hero! Good investment, good solid material and excellent quality / price ratio (bought 140 euros).